Word on the street, (ok, in the blogosphere,) is that bananas are becoming an endangered species. This sets off a mild feeling of panic, as what is morning without bananas? Bananas are the base of most smoothies, taste great on oatmeal, make delcious breakfast breads, and are the perfect vehicle for slathering with almond butter. Thus said, this rumor begs investigating. 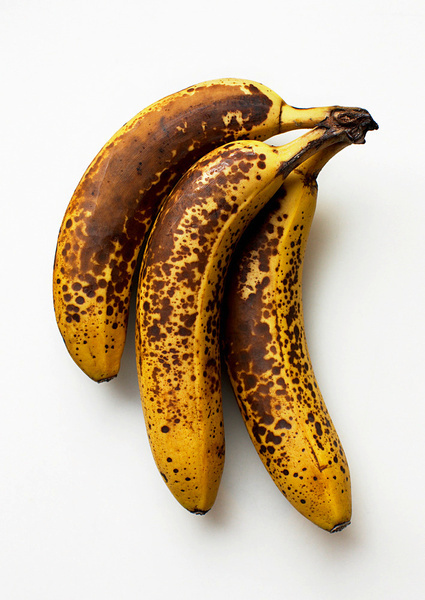 The scientific journal PLOS Pathogens has conducted a study, which predicts that a fungus called Panama disease will bring about the untimely demise of the banana. There is no known treatment for Panama disease, which was previously contained in parts of Asia. It has currently spread to Pakistan, Oman, Jordon, Lebanon, Mozambique and Northeast Queensland, Australia. The disease is slow spreading, so it may take awhile to get to Latin America, where most of our bananas are grown. The last time the disease eradicated crops was when it was discovered in Taiwan in the 1960’s where it took 55 years to do it’s damage. In the meantime, consider swapping parsnips as a substitution in baked goods. The root caramelizes to a sugary sweetness like bananas, and were used during the Great Banana rationing in England during WWII. This entry was posted on December 7, 2015 at 7:19 am and is filed under Food. You can follow any responses to this entry through the RSS 2.0 feed. You can leave a response, or trackback from your own site.